Those looking for a sign of how the post-Scalia Supreme Court will view arbitration issues may have gotten that sign – “not very interested” – based on recent denials of certiorari by the Court. Pro Se Plaintiff’s One-Page Pleading Perishes, Even as He Avoids Arbitration: Knaus v. Scottrade Inc.
By David C. Franceski, Jr.
*Unless arbitrability is apparent from the face of the complaint, the issue cannot be decided on a F.R.C.P. One Bad IPO Spawns Two Contrary Expungement Decisions: Cremo v. Oppenheimer & Co., Inc.
Cremo v. Oppenheimer & Co., Inc, FINRA ID #15-01548 (Los Angeles, CA, 3/31/16). Arbitration law practitioners sometimes forget that the Federal Arbitration Act (“FAA”) does not by itself establish independent federal subject matter jurisdiction. In early 2015, we covered Sgouros v. TransUnion, Corp., No. 14 C 1850 (N.D. Ill. Feb. 5, 2015), where the Court refused to enforce an online predispute arbitration agreement (“PDAA”) contained in “clickwrap” or “browsewrap” Terms of Service (“TOS”) because there wasn’t clear notice of the TOS (see SAA 2015-08). Securities Arbitration Commentator, Inc. – commonly known as SAC – was established in 1988 by Richard P. Ryder. We are located in the village of Maplewood, NJ, approximately 20 miles from New York City. 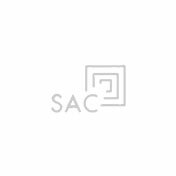 Growing and diversifying steadily and strongly over the past three decades, SAC now offers more than a dozen quality products serving the highly specialized securities arbitration field. Warren to FINRA: What’s Happening on Expungement Changes? Senate Judiciary Committee Holds Hearing on “Arbitration in America.” Are Changes Coming to the FAA?